VACCINATION of badgers is set to be stepped up in Warwickshire following fears a cull could be carried out in the county. Warwickshire Badger Group (WBG) has been vaccinating the county’s badgers against bovine TB since 2011, and this year has been supported by Warwickshire Wildlife Trust (WWT). Badgers are enticed into traps with peanuts before being injected with mycobacteria – germs which cause TB. They are marked with a streak of non-toxic dye to ensure they are vaccinated only once, before being released. And although the process is time-consuming, the group claims it is a fraction of the cost of culling. A freedom of information request showed the government spent more than £16.8million to cull nearly 2,500 badgers over a two-year period. To vaccinate the same number would have cost around £742,000. Conservationists also say immunity against the disease is passed down to cubs. And in fear of an impending cull, WBG – which vaccinate on trust sites and on some private land – is hoping to expand the vaccination programme to cover the whole county. 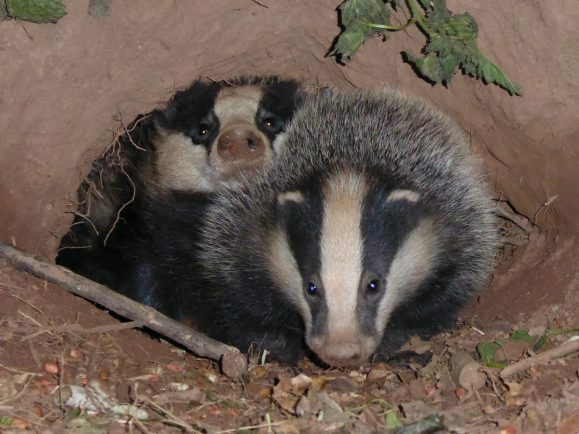 WBG chair Denise Taylor said: “We want to vaccinate as many badgers as we can across the county and certainly in and around areas where there have been outbreaks of TB on farms in Warwickshire and in neighbouring counties. “The response from MPs in our county is that badgers are rife with the disease, but this is simply not true and is very misleading. “The situation is that almost 40,000 badgers will have been killed, and the majority of them will have been healthy and have died needlessly, often in the most cruel of circumstances. WWT conservationist Alexis Evans added: “Warwickshire Wildlife Trust believes vaccination to be a more humane method of controlling bovine TB and we will continue to support Warwickshire Badger Group.